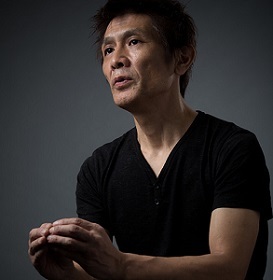 Osamu Fujiki, an expert fabricator with Mazda’s design team, creates new value by using different materials to show off the beautiful forms that are the foundation of interior cabin design. As he works with the ever more beautiful and innovative forms, he gives a unique aesthetic identity to the cabin space through an ingenious mix of elegance and playfulness. 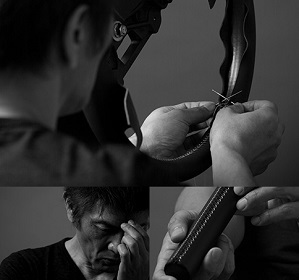 With his stitching expertise, Fujiki gives a new edge of beauty to products. The surfaces of the seats and the steering wheel are places of direct contact between the car and its occupants. “I want people to think, ‘This is good,’ when they see and touch those parts,” Fujiki says. “I want them to feel Mazda’s devotion to design. If they do, I believe they will feel the joy of driving and love their cars all the more.” Fujiki says that’s exactly why he rigorously checks the quality of the materials and the stitching work. Fujiki turns a conceptual idea into a form regardless of whether or not it can be used as an actual design. He says a form created in this way sometimes inspires others to create a new design. Fujiki continuously explores new concepts while exploring beautiful combinations of materials and form. Many design team members come to exchange ideas with Fujiki, who knows a great deal about the attractiveness of different materials. The texture and feel of a material sometimes inspires fresh ideas on how to make planned products look more beautiful. And what starts as one person’s passion, becomes energy that fuels the team as a whole, creating beauty that captures people’s hearts.